Seniors who take common medications to treat insomnia, anxiety, itching or allergies may have symptoms of forgetfulness or trouble concentrating, a new review concludes. 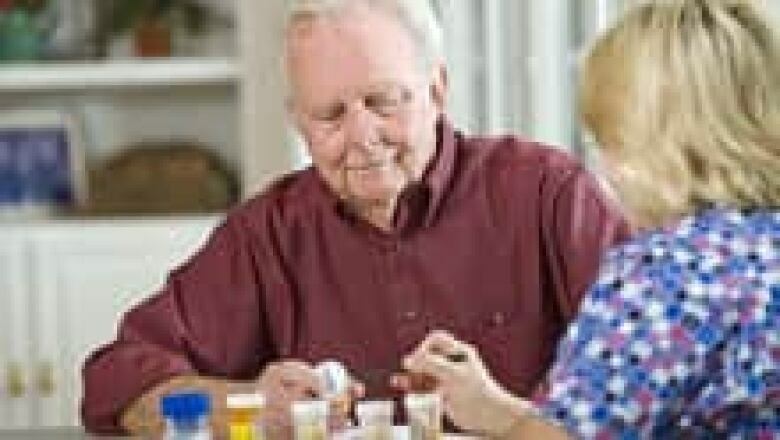 About 90 per cent of people aged 65 and older take at least one prescription medication and almost half take five or more, studies suggest. As people increasingly report memory and attention problems and seek testing for early dementia, researchers in Montreal wanted to see how medications can induce such symptoms. Dr. Cara Tannenbaum, research chair at the Montreal Geriatric University Institute and her co-authors in Montreal, Calgary, Australia and the U.S. reviewed 162 studies on medications most likely to affect memory, creating what's called an amnesia effect, or affect brain functions like attention and concentration that are called non-amnestic. "There is a consistent body of evidence suggesting that drug-induced mild cognitive impairment can occur with episodic use of medications for insomnia, anxiety, [itching] or allergy symptoms," the study's authors concluded in the journal Drugs & Aging. "Combined amnestic and non-amnestic deficits occur with the use of benzodiazepine agents and may partially underlie older adults' frequent complaints of forgetfulness or difficulty concentrating." The 68 studies on benzodiazepines, which are often used to treat anxiety and insomnia, showed the drugs consistently lead to impairments in memory and concentration, with higher doses tied to stronger effects. The 12 tests on antihistamines and the 15 tests on tricyclic antidepressants showed deficits in attention and information processing. Patients should know this information and feel comfortable talking to their doctors and pharmacists about safer pharmacological or non-pharmacological treatment options, Tannenbaum suggested in a release. "Despite the known risks, some patients may be better off taking certain drugs when they need them than if the underlying disorder were left untreated," the researchers wrote. For non-benzodiazepine drugs, the researchers cautioned that individual molecules may have different properties that should not be lumped together as a class. The reviewers weren't able to calculate the magnitude of the effect or how often the cognitive impairments could be expected with each drug class. The research was funded by the Michel Saucier Endowed Chair in Geriatric Pharmacology, Health and Aging at the University of Montreal. The study was promoted as part of National Senior Safety Week.